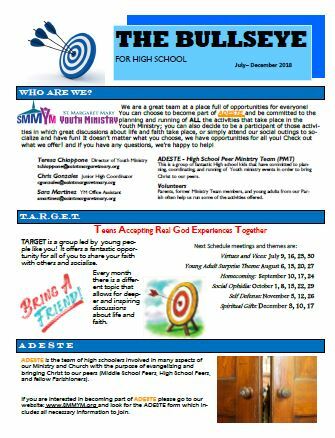 TARGET Team is a High School Youth Group led by the high school ministry team for High Schoolers who want to take their faith to the next level and have fun doing it. It is a good way to meet new friends that care about their faith. 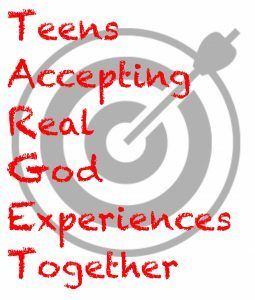 TARGET meets every Monday 7:00-9:00 P.M. (Room 1 – Ministry Center). TARGET is FREE. No pre-registration required. All High Schoolers are welcome. Just show up once, twice, or weekly and join the amazing High School community we have here at Saint Margaret Mary.